There is a certain hush when the name "Jack Szostak" is mentioned in science circles. Yes, he's a Nobel laureate, but the moment of silence seems to be more for a man who is trusted. He's also a handsome man, with fine Polish features. (His paternal grandfather was from Cracow.) The elegance he and his wife brought to the Nobel events, captured in photos, says more. Szostak's autobiography mentions that his father Bill, an aeronautical engineer, built a chemistry lab for him in the basement of their home in Montreal during his high-school years, encouraging and sometimes participating in the scientific exploration. Vi, his mother, supplied the "remarkably dangerous chemicals" from her job -- the mixing of which, he notes, "frequently led to explosions." Szostak graduated from high school at age 15 and entered McGill University that same year. He earned a B.S. in cell biology from McGill, and then a Ph.D. in biochemistry from Cornell University. 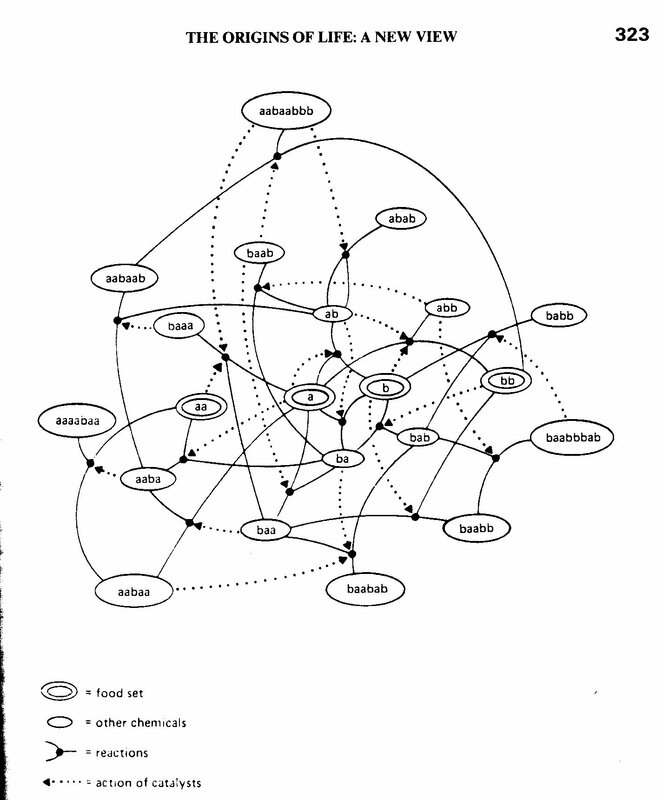 I was first introduced to Jack Szostak's work in 2008 during a conversation with astrobiologist Bob Hazen, who liked what Szostak was doing with self-organization in synthetic biology. ISSOL (International Society for the Study of the Origin of Life) president Dave Deamer later steered me to Szostak's "great molecular animations." Jack Szostak is a professor of genetics at Harvard Medical School, Alexander Rich Distinguished Investigator at Massachusetts General Hospital, an investigator at Howard Hughes Medical Institute< and a professor of chemistry and chemical biology at Harvard University. He also directs a lab at Harvard where he is researching the origin of life and synthesizing a protocell -- from scratch. Other big names in science, like Matthew Powner and Irene Chen, found a home early on in the Szostak lab as postdocs. Powner told me he was inspired by the "free-thinking" environment there. Szostak, along with Harvard astrophysicist Dimitar Sasselov, also coordinates a team of origins scientists funded by the Simons Foundation, among them Gerald Joyce, John Sutherland, and Matt Powner. Jack Szostak is the recipient of the U.S. National Academy of Sciences Award in Molecular Biology, the Hans Sigrist Prize, the Genetics Society of America Medal, the Lasker Award, the Dr. H.P. Heineken Prize, and the 2009 Nobel Prize, with Elizabeth Blackburn and Carol Greider, "for the discovery of how chromosomes are protected by teleomeres and the enzyme telomerase." He is a member of the National Academy of Sciences, the New York Academy of Sciences, and the American Academy of Arts and Sciences. An inordinate amount of effort has been spent over the decades in futile attempts to define "life" -- often and indeed usually biased by the research focus of the person doing the defining. I first met Jack Szostak at the Simons Foundation this spring, and then again at the World Science Festival, where he announced he'd have "life in the lab" in three to five years. Our conversation follows. Suzan Mazur: What properties of life are you looking to synthesize in your protocell, and what are the outstanding issues in making the synthetic cell? Jack Szostak: What we're trying to build in the lab is a protocell, a simple cell that can grow and divide and, most importantly, start to evolve in the Darwinian sense. That requires several things. With a cell model you need to have a cell boundary, a cell membrane that can grow and divide. We already have that; we've published on that. The other thing that is really critical is to have some kind of genetic material that can replicate so that useful information can be inherited -- in other words, can propagate from cell to daughter cell. What we're thinking about mostly these days is that that genetic material might be RNA or some closely related material. One of the reasons we like RNA is that it acts even now as a genetic material. We also know that it can act as a catalyst. There are ribozymes, which are basically enzymes made of RNA. Suzan Mazur: What are you missing at this point? Jack Szostak: What we're missing is the ability to replicate RNA molecules without enzymes. Suzan Mazur: What is the distinction between "self-reproduce" and "replicate"? Is there a distinction? Jack Szostak: Some people make a distinction between perfect replication and replication with errors. Any kind of replication always has errors. To me the distinction is pointless. Suzan Mazur: Is there another outstanding issue in making the protocell aside from getting it to replicate? Jack Szostak: That is the big issue, getting it to replicate. That problem has a number of sub-problems. Right now, the way we see RNA getting produced is with this enzyme that catalyzes the production of RNA. But how do you get that enzyme? Well, that enzyme is a thick, giant protein. So somehow you have to bridge this gap of getting RNA production to happen without this enzyme or create a story of how the enzyme gets created along the way. But so far this hasn't happened. You're exploring non-enzymatic RNA replication. Suzan Mazur: So this continues to be the sticking point. Jack Szostak: People have been trying to solve the problem of non-enzymatic replication for the last 50 to 60 years. The late Leslie Orgel and his colleagues and students, including Jerry Joyce, spent a lot of time on that problem. They made a lot of progress, but ultimately they got frustrated and concluded that it was impossible. Everybody started to look at alternatives, either alternatives to RNA or different modes of catalysis. For example, RNA catalyzed RNA replication, which we spent a lot of time on. Now we've come back to the idea of reassessing those problems. We know a little bit more. Suzan Mazur: But you've said you think you'll have "life in the lab" -- as Mario Livio put it -- in three to five years. So what kind of life do you think you'll have? Jack Szostak: I might have been feeling optimistic that day. I think we've solved most of the issues on the way to RNA replication. The big one that's remaining is how to bring chemical energy into the system. The problem is RNA falls apart. The activated nucleotides we use to do the non-enzymatic replication -- they react with water, so they fall apart. There needs to be a way to bring energy back into the system to essentially keep the battery charged, to keep all the nucleotides activated and to keep things running. If that problem can be solved, then I think we will be able to do non-enzymatic RNA replication. And because we've solved a lot of the other issues, that will allow us to generate a replicating protocell. Suzan Mazur: How collaborative an effort is this? Aside from your own team there at Harvard, are you looking to external labs like John Sutherland's? Suzan Mazur: For the mix that you're going to put into your lipid vesicles. Is that right? Jack Szostak: Yes, we definitely talk a lot to John and his lab in Cambridge, and to Matt Powner, who was a student of John's and a postdoc with me. We talk frequently with Jerry Joyce and Donna Blackmond at Scripps -- basically everyone who's active in the field and thinking creatively about these problems. We all talk to each other and hope we can together come up with a solution. Suzan Mazur: Are you referring to the Simons Collaboration on the Origins of Life? Jack Szostak: Those people I mentioned are part of the Simons Collaboration. Suzan Mazur: What Matt Powner told me a few weeks ago was that he and John Sutherland were able to come up with a "robust and high-yielding synthesis for two of the four nucleotides, uridine and cytidine," and that they will "get to the purines as well and maybe DNA." Dimitar Sasselov, your co-coordinator at the Simons Collaboration, told me that synthesizing the protocell will require special ultraviolet light, which he's making. It sounds like there's a bit more work to do. Jack Szostak: The problem of the origin of life, if you stand back and look at the whole thing, is a whole pathway all the way from planet formation to the various chemical steps, like making nucleotides, to assembling a protocell, which is what we're working on, and then on to the evolution of the genetic code, etc. What I meant when I said "three to five years" was, given the building blocks, if we have the building blocks, we'll be able to generate an evolving protocell. There may still be gaps in our knowledge of how, prebiotically, to make nucleotides, or maybe gaps with what happens afterwards. We're just working on that little part of how you get the molecules to work together and act like a cell. Suzan Mazur: We may never know precisely the origin of life, but how much insight into the actual origin of life do you think a protocell like yours might give us, say, on a scale of 1 to 10? Jack Szostak: We've been working on one part of the problem. Other people are working on other parts of the pathway. I don't worry, at this point, whether we'll know exactly how it happened on the early Earth. What we're trying to do is to work out a plausible pathway where all of the steps seem chemically and physically reasonable, and maybe we'll end up with multiple pathways which are all possibilities. Suzan Mazur: Aren't there a half dozen or so labs working on some type of synthetic cell right now, all with different approaches? Jack Szostak: Most of the other people who are working on artificial [synthetic] cells are taking existing biological cells and trying to take them apart to reconstitute them from components, or they are trying to simplify them. Suzan Mazur: What applications might result from a successful protocell synthesis? Jack Szostak: At the moment I can't see any practical applications. To me it's just intellectually interesting. Suzan Mazur: What are the potential dangers of unleashing "Generation II," as Sasselov describes it? Could the cell have the robustness to interact with the environment outside the lab? Jack Szostak: The things that we're trying to make, even if we're successful, will be totally dependent on an environment that will only exist in our lab. There is no place on the modern Earth like the early Earth. Suzan Mazur: Do you think we need more public awareness about the origin of life and what the plan is regarding the synthetic cell? People are curious as to why you're doing this. Yes, it's a fantastic intellectual exercise, but there must be some sort of vague goal. Do you think the public should be better informed about it, maybe by way of a series of roundtables on the Charlie Rose show, underwritten by one of the sponsors of the World Science Festival, or Pfizer, perhaps, like the Paul Nurse 13-part series on Charlie Rose a few years ago? Jack Szostak: I think there's already been huge public interest. Almost everyone would like to know how we got here. With all the excitement of NASA and the exploration of our solar system and the detection of planets around other stars -- almost anybody who has any interest in the world we live in knows about that. I think that's already stimulated a lot of interest about the origin of life. We do try to do things like public lectures. Being on TV shows takes a certain talent. Not everybody has the television charisma of Paul Nurse. Suzan Mazur: When we met at the Simons Foundation in April, you told me that you "don't believe" in autocatalytic sets. Why is that? Haven't the Europeans integrated autocatalytic subsystems into their systems science? Jack Szostak: Autocatalytic sets is one of those concepts where the people who came up with the original idea, like Stuart Kauffman, rather than admit being wrong, kept changing their story until it was basically the same concept everybody was already working on. The original idea was that there would be large numbers of compounds where one would help another to replicate, and that one would help some other one to replicate, and that somehow, out of this huge population of interacting molecules, autocatalytic replication would emerge. In my opinion, that was never chemically realistic. Now you see people talking about non-enzymatic RNA replication and calling that "autocatalytic sets." If that's what you want to call it, that's fine. But it seems like the concept has lost all meaning. Suzan Mazur: I see. Thank you.